Titusville Meditation and Mindfulness in the Garden is a donation-based community meditation event featuring special guest meditation teachers sponsored by The Titusville Yoga Loft at Titusville Yoga Loft Garden. Please bring a yoga mat, meditation pillow, or a blanket as needed for each practice. The Titusville Yoga Loft Garden is located behind The Yoga Loft studio across the street from the public parking lot on the corner of Julia Street and South Washington Ave. All donations go to help support our teachers, future events and maintain The Titusville Yoga Loft Garden. All levels and ages welcome. We look forward to practicing with you! The Titusville Yoga Loft Garden was created to promote compassion, understanding, and assist in a greater connection for personal growth. 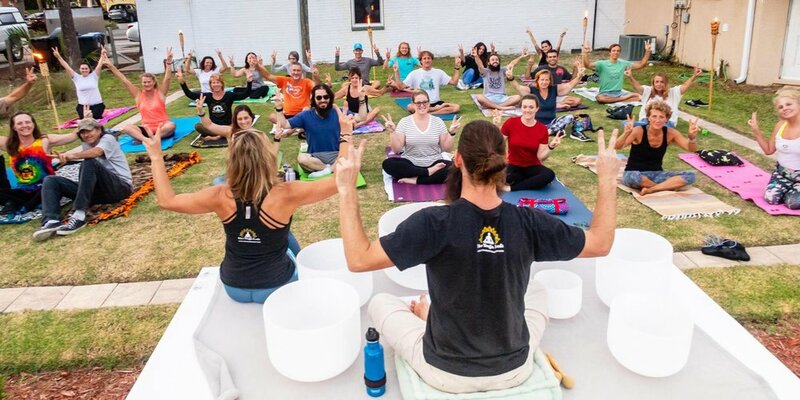 The Titusville Yoga Loft strives to educate others to improve health and wellness in the Titusville community through the practice of yoga, meditation, community yoga and outdoor yoga events.